The Liberals will this evening preselect their candidate for the Wentworth by-election, the date for which has now been confirmed. A marathon Liberal preselection that concluded at 1am has turned up something of an upset, with preselectors comprehensively defying Scott Morrison’s edict that the position should go to a woman. The ultimate winner was Dave Sharma, who defeated Richard Shields in the final round by 119 votes to 83. Morrison’s favoured candidate, Katherine O’Regan, crashed out early, managing only fifth place. The other leading woman candidate, Mary Lou Jarvis, was next to go, leaving Sharma, Shields and Peter King standing at the penultimate round. It would seem O’Regan was deserted in droves in favour of Sharma after the latter received the endorsement of John Howard and Malcolm Turnbull. The Wentworth by-election date was set yesterday for October 20, with rolls closing Monday week, and nominations closing the following Thursday and being declared on the Friday. The most high-profile potential independent, Kerryn Phelps, is reportedly waiting on this evening’s Liberal preselection before deciding if she will run. This is reckoned likely to be won by Katherine O’Regan, in part due to a consensus that the seat should go to a woman. Andrew Clennell of The Australian reports O’Regan is supported by moderate faction powerbroker Michael Photios, and “could get as many as 80 votes in the 120-vote local component of the 206-vote ballot”. O’Regan owns a consultancy firm, KTO, is a former deputy mayor of Woollahra council, and has been a staffer to state minister Robyn Parker and federal minister Warwick Smith. Also said to be an outside chance is Mary Lou Jarvis, a Woollahra councillor Mary Lou Jarvis who has backing from the Right. Dave Sharma, the former Australian ambassador to Israel initially identified as the front-runner, has so far resisted pressure to withdraw, but Clennell reports one of his main backers, North Sydney MP Trent Zimmerman, has switched his support to O’Regan. Also in the field are Richard Shields, former deputy state party director and Insurance Council of Australia manager; Maxine Szramka, a rheumatologist; Michael Feneley, cardiologist and twice unsuccessful candidate for Kingsford Smith; Carrington Brigham, a digital communications specialist; and Peter King, the barrister who held the seat for a term from 2001 before being elbowed aside by Malcolm Turnbull, whom he then proceeded to run against unsuccessfully as an independent. Following the poll circulated a few days ago by Andrew Bragg, Peter King has been circulating a poll of his own, conducted Thursday to Sunday from a sample of 400. It shows Labor beating the Liberals 53-47 on a generic ballot, from primary votes of Liberal 36%, Labor 29%, independents 18% and Greens 16%. However, this becomes 50-50 when Peter King is specified as Liberal candidate, from primary votes of Liberal 35%, Labor 25%, Greens 17% and independents 13%. Please note that this is a Wentworth-specific thread. The “main” thread continues here. Morrison wants to see Katherine O’Regan get the nod. He was supposedly heavying for Dave Sharma, strongly pro Israel. Happy Clappers and the end of timers tend to be. But O’Regan is a woman, obs. A senior government source said Ms Upton, a lawyer and the former deputy chancellor of the University of NSW, was an “underperformer” who should not be in cabinet. “I hate even saying this but she is only on the frontbench because she is a woman,” the source said. Part of the reason why the Wagga state result was so bad for the Libs was because they put up a poor quality candidate (who happened to be female) – hand-picked by the Premier, IIRC. I don’t bet on elections, but if I did I’d be interested in putting some $$ on the Independent or labor candidates on those odds, with enough on the lib to cover my other bets just in case. 5:1 for the independent option looks fairly attractive unless the libs pick someone good. if they pick a right winger , I reckon you could clean up. I also think Turnbull will be tempted to throw a spanner into the works of whichever lib runs – this would bring down the government and see Dutton lose his seat, ScoMo as a very short term PM only remembered as someone who suffered one of the biggest landslides ever, and the LNP reduced to a rump of acrimonious malcontents slogging it out in years of opposition. Independents might even get endorsement and $$ from Mal. So the lib candidate is a former Coal Association consultant (whatever that means), whilst Howard has come out and suggested that the bloke who dropped out, Dave Sharma, should stay in the race. it’s all going swimmingly well for Scomo isn’t it. The Sportsbet market is not particularly tight. You’d need a $1.20 outlay to guarantee a $1 return. I’d agree the $5 for an independent looks tempting. It’s likely to tighten if Phelps nominates. WtR – the betting would work better if you assumed labor was unlikely to get up. $100 on the lib and $70 on the indie should cover the bet and deliver a win of $0 or 180 net win shouldn’t it? (I’m not a gambler). Someone better at odds could probably work out how to cover bets on LNP, labor and an indi, but I suspect an indi would have more chance than labor in wentworth after preferences. 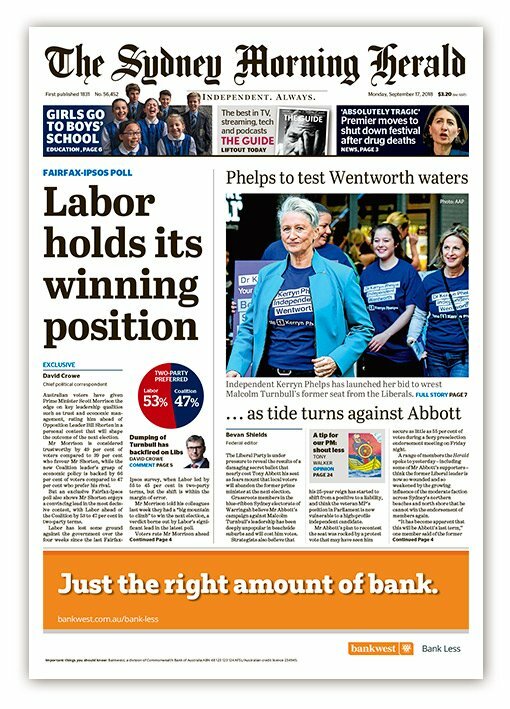 In another electorate, labor could make this a poll about putting the LNP out of its misery and bringing on a federal election, but I suspect many wentworth voters would want to see the LNP in government and will want to give ScuMo time to turn it around. On the map on the preview page, I think you might have transposed the locations of the booths for Darlinghurst East and Darling Point. Dave Sharma would be a very strong candidate under other circumstances. Former Australian ambassador to Israel Dave Sharma has won the Liberal Party candidacy for the Federal seat of Wentworth ahead of next month’s by-election. Mr Sharma emerged victorious for the prized preselection after a marathon voting session lasting more than six hours. Way to reach around their own backs and twist the knife just a little further. there is something a tad reptilian about Sharma – I get the same skin crawl I get with Birmingham, Paterson, Hunt, Pyne, Wilson and Zed. He/they look as though they need more time in the sun and away from the company of the un-dead. 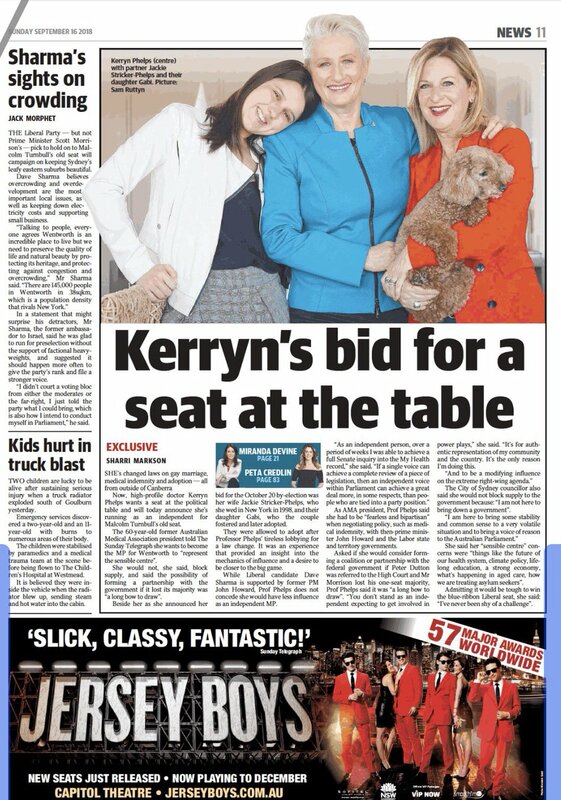 A drover’s dog should be able to win this seat for the Liberals. The strength of the candidate shouldn’t matter in a seat as blue ribbon as this. That is basically what I mean; if he was to run in a safe seat in a general election he would have waltzed in and probably had a stellar career in politics (he strikes me as Smarter than the average LNP candidate). Instead, he is run in a contest where he is not the main game; if he loses his career is over. Note that I did say that before the pre-selection too. I expected one of the females to get up because I forgot it was the Liberal party. One hot Saturday morning back in November, 1972, journalist Richard Ackland breezed into the members’ bar of the Royal Sydney Golf Club, that bastion of the Sydney establishment, and observed Leslie Bury, the Liberal member for Wentworth, fondling a glass of champagne. “How’s the election campaign going, Les?” asked Ackland. “It’s difficult to tell,” was the one-time foreign minister’s droll reply. I wonder what is the [current] record for spending in a by-election? Kerryn Phelps will win if she runs. I always find it interesting how some commentaries get a bit hung up on how Jewish the seat is. Firstly, Wentworth is more Jewish than even Melbourne Ports but they still only make up around one in eight voters. Secondly, the Jewish population is not a monolith and their politics on issues like the endless Middle East conflict is quite diverse too. Dave Sharma’s role as a former ambassador to Israel won’t hurt but is not as big a bonus as some would believe. is it possible a green could win?